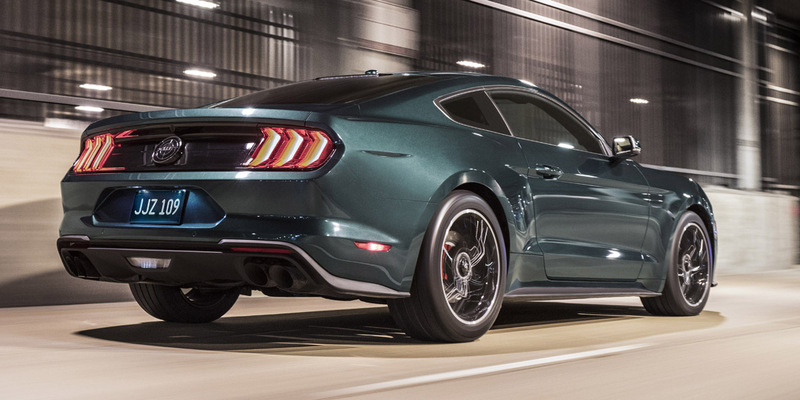 The 2019 Mustang boasts a sophisticated platform, a surprisingly robust turbo 4-cylinder engine, a fairly upscale interior, and excellent driving manners, all while retaining the nameplate’s characteristic heritage and charm. 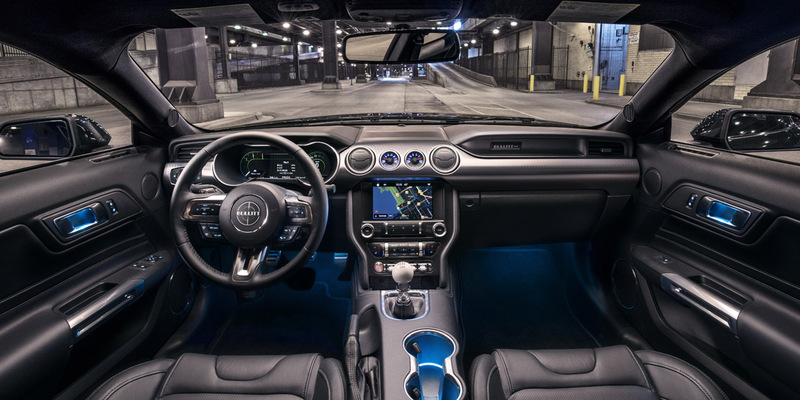 Not surprisingly, the back seat is cramped, the V8 is thirsty, and prices rise quickly as those tantalizing options are added. The Mustang is Ford’s long-running sporty/performance machine; it’s the car that invented the term “pony car.” It comes as a 2-door coupe or 2-door convertible, each offering a choice of two engines: an “EcoBoost” turbocharged 2.3-liter 4-cylinder with 310 hp, or a 5.0-liter V8 with 460 hp (or 480 hp in the new-for-2019 Bullitt special edition). Both engines are available with a 6-speed manual transmission or a 10-speed automatic (though the new Bullitt model is manual only). A veritable smorgasbord of performance, technology, and personalization options is available, including upgraded audio systems, heavily bolstered Recaro sport seats, park assist, heated power mirrors, heated steering wheel, ambient interior lighting, adaptive cruise control, MagneRide adaptive suspension, 19-inch wheels on performance tires, and Brembo-brand 6-piston front disc brakes. 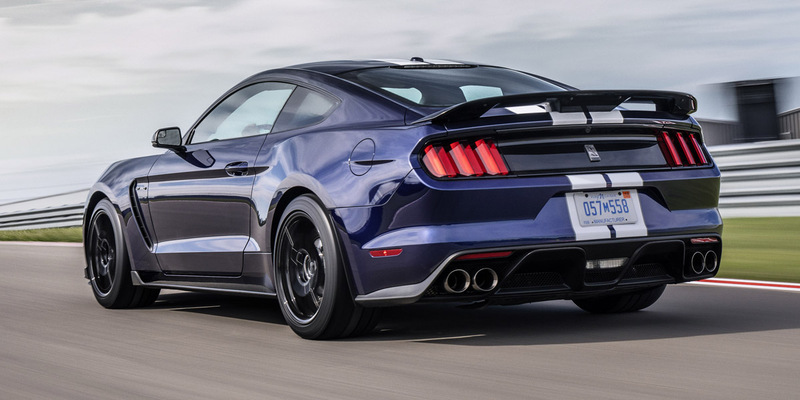 After its significant revamp for 2018, the Mustang sees the revival of two heritage-themed special-edition models for 2019. 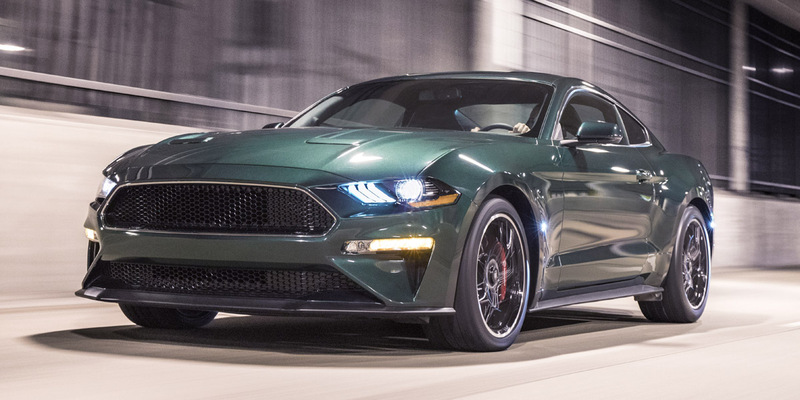 The Bullitt gets a 20-hp boost over a standard GT and is trimmed to mimic Steve McQueen’s Mustang from the 1968 movie Bullitt. The California Special is a tribute to a 1968 Mustang special-edition model; it adds bodyside stripes, unique wheels, and other trim elements to a GT coupe or convertible. Other newly available features for 2019 include automatic rev-matching on manual-transmission GT models, active-valve performance exhaust on EcoBoost models as well as GTs, and an updated Bang & Olufsen premium sound system. 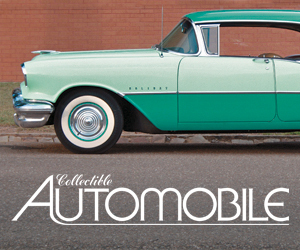 The EPA rates the 4-cylinder at 21 mpg city/31 mpg highway with the manual transmission and 21/32 with automatic. The V8 is rated at 15/24 with manual and 16/25 with automatic. Choosing the convertible body style exacts a fuel-economy penalty of 1-2 mpg, as does the Performance Package on 4-cyl models. 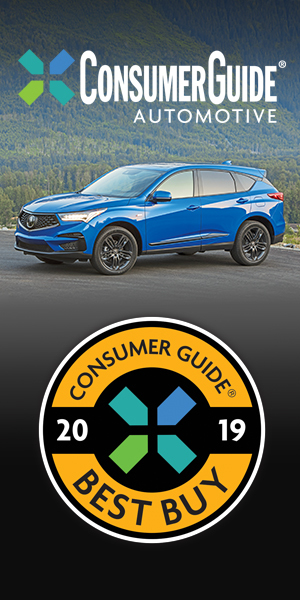 Premium-grade gas is recommended for both engines. The Ford Mustang has an enviable history as one of America’s best-loved vehicles, and the current model does its legendary forebears proud—and not just in terms of good looks and nostalgia. Thanks to its up-to-date design and plethora of cutting-edge technologies, the Mustang makes a strong case for itself against a broad range of sporty/performance-car competitors. 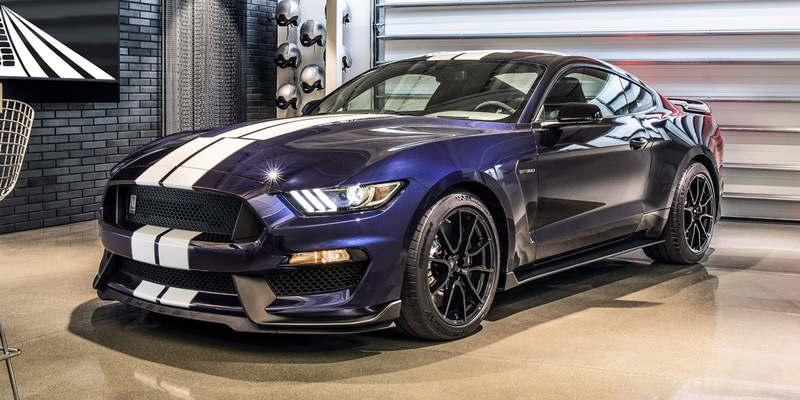 It’s not quite the bargain it once was, but a broad model lineup and lengthy list of options mean that there’s a Mustang to suit a wide variety of purses and preferences.